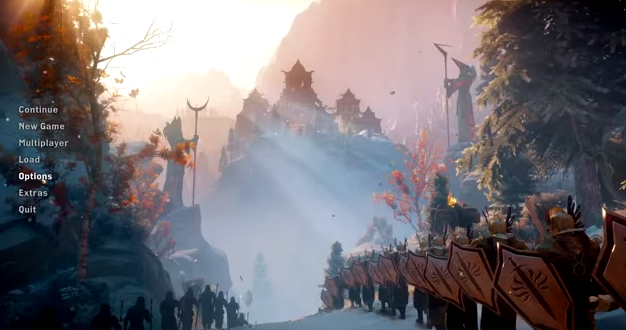 The third title in what promises to be a lengthy franchise indeed, Dragon Age: Inquisition picks up the story where Dragon Age: Origins and Dragon Age II left off. Moving beyond local concerns, Inquisition tells the story of the world of Thedas as it is gripped by a civil war between Mages, magic users long kept on a repressive leash, and Templars, their magic-nullifying overseers. Inquisition allows you to choose and mould the nominal leader of the Inquisition, a quasi-religious force that seeks to quell hostilities between the two groups, repair a massive Breach in the sky, and restore order to Thedas. Dragons will show up somewheres in there. An action RPG brimming with possibilities, Dragon Age: Inquisition is really goddamn big. This walkthrough is gonna take a while, trust me on that.